Done with the sofa? Done with the hall? Done with societally enforced standards of sexuality which don’t conform with your reality? On 8th April 1998 in a Miami public toilet, so was George Michael. 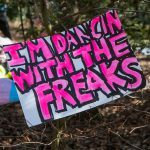 No longer with us but with presence stronger than ever, we gather at the world famous cruising area on Hampstead Heath, to ‘Go Outside’ in honour of George Michael. 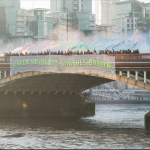 In Conversation with Aderonke Apata – the struggle for ongoing global LGBTQIA+ freedom on the 50th anniversary of England’s decriminalisation. 2017 is the 50th anniversary of the partial decriminalisation of homosexuality in England and Wales. 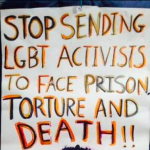 But LGBTQIA+ people across the world continue to face grave threats. 76 countries still criminalise homosexuality. 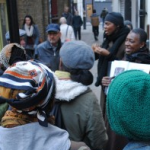 Come listen and learn from Aderonke Apata – Human Rights Activist, Feminist and LGBT Equality Advocate – an unstoppable force in fighting for justice about what we can do. 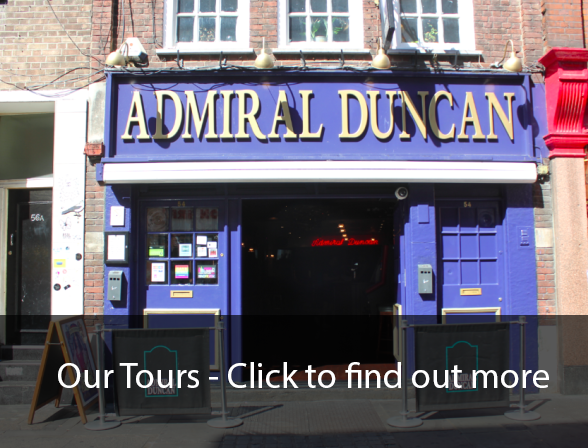 We will tour iconic spaces that contribute both the oppression and freedom of LGBTQI+ migrants in London. We will finish at 5pm at the Home Office. Amy was a music, style and queer icon – delve into all these sides of her personality in this fun late opening. You can also explore the exhibitions Amy Winehouse: A Family Portrait and Pegasus: Love Is A Losing Game. Hear the stories behind ‘Amy Winehouse: A Family Portrait’ with our curator. 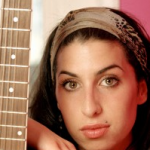 Enjoy live music performances by young artists from Amy’s Yard, the Amy Winehouse Foundation’s music programme. 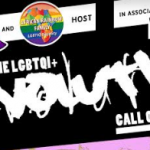 Celebrate Amy as a queer icon with ‘Queer Tours of London’ who will be delivering a fabulous spoken word performance in tribute to Amy. Inspired by Amy’s iconic image, make your own flower hair accessory with London Craft Club. Admission includes entry to the two exhibitions, ‘Amy Winehouse: A Family Portrait’ and ‘Pegasus: Love is a Losing Game’.